Young Girl And Her Dog Are Sitting At The End Of The Pond Dock. 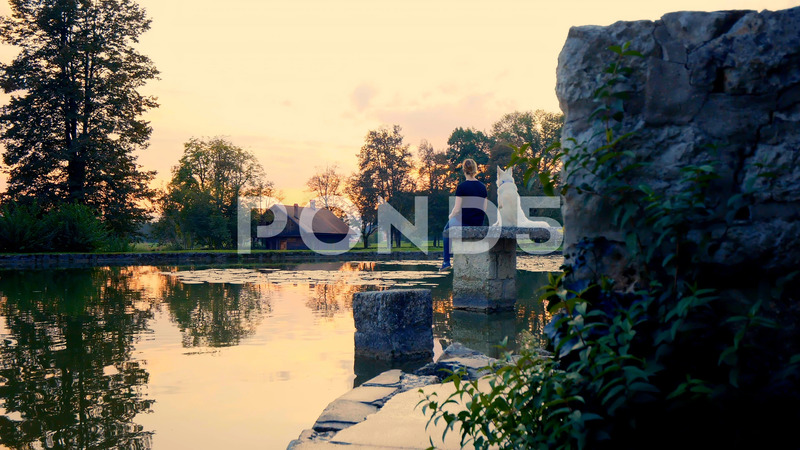 Description: DOLLY IN: Young girl and her dog are sitting at the end of the pond dock. Girl hugs the dog.